The management of two groups — straddling and highly migratory fish stocks — became problematic after the 1982 Convention. 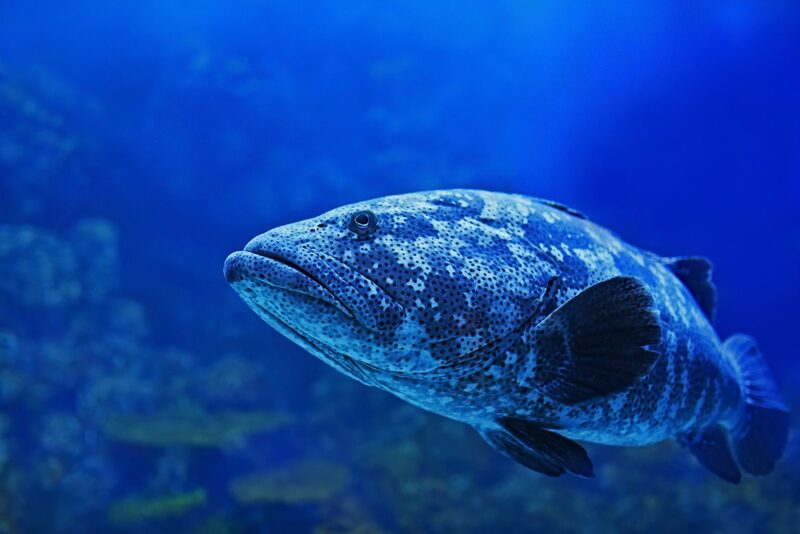 Straddling fish stocks migrate across or “straddle” more than one EEZ and the high seas, these are species such as cod, flounder, and turbot. Highly migratory fish are ones that travel long distances across international waters, these are tuna and tuna-like species, such as marlin, swordfish and sharks. Since these fish are not confined to any one country’s EEZ, managing these fisheries is a shared responsibility. 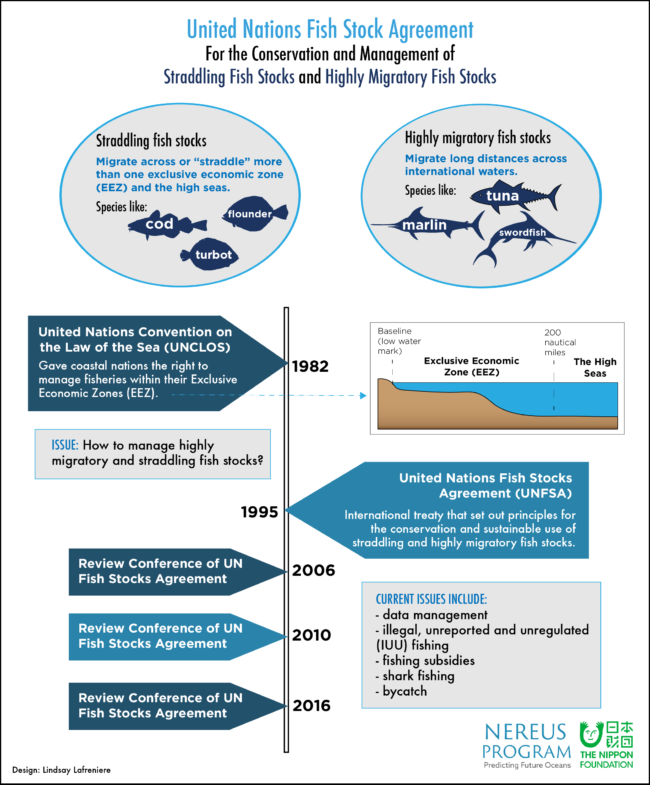 From this came the 1995 United Nations Fish Stocks Agreement (UNFSA), an international treaty designed to further implement provisions of the 1982 Convention and “to ensure the long-term conservation and sustainable use of straddling fish stocks and highly migratory fish stocks”. Since this agreement was put in place, three review conferences have been scheduled, with the third and most recent being held this week at the United Nations headquarters in New York. The Nereus Program, represented by Nereus Fellow Richard Caddell(Utrecht) and Alumnus Andre Boustany(Duke), will hold a side event on Friday, May 27 entitled “Science, Policy and Civil Society: The Role of NGOs in Global Fisheries Management.” The session will present ongoing Nereus research as well as research on the ways in which civil society can play a role within regional fisheries management organizations (RFMOs) themselves.